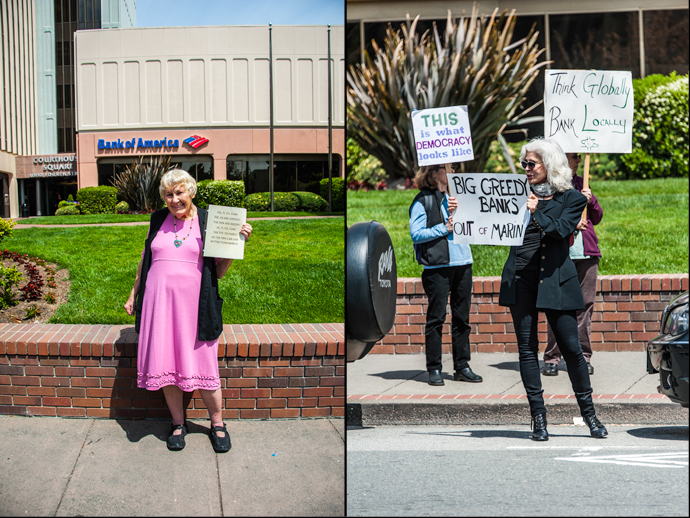 On Tax Day, April 18, a small band of protesters gathered at the Bank of America in San Rafael. I’ve tried to go to most of these events, and by now their faces are familiar to me. For the most part, they appear to be Marin County retirees, different in appearance from the protesters I see in the national news. 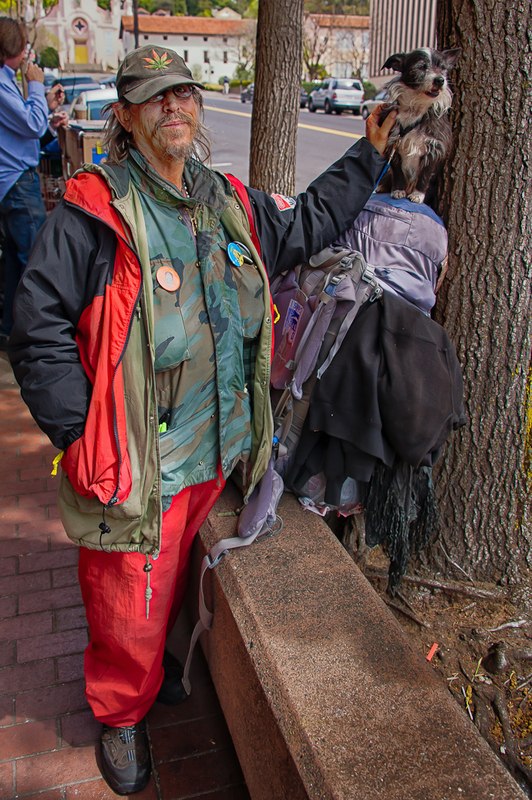 They’re never joined by homeless or street people who hang out just a block away. Enough is enough! On Tax Day, April 18, as millions of Americans patriotically pay their taxes, we will call on corporations and millionaires to pay their fair share. At hundreds of events from coast to coast, we’ll present tax bills to corporate tax dodgers for the billions of dollars their legions of lobbyists helped them avoid. We’ll organize a peaceful, dignified, and powerful day of action to call on corporations to pay their fair share. And we’ll demand that our elected leaders make them pay. It’s time to demand that everyone pays their fair share to rebuild the American Dream. We invite frustrated taxpayers, underwater homeowners, vilified public servants, job-hunting students, and unemployed veterans—everyone facing cuts or cutbacks, a pink slip or a shrinking paycheck—to join in. In 2009, after helping crash the American economy, Bank of America paid $0 in taxes. 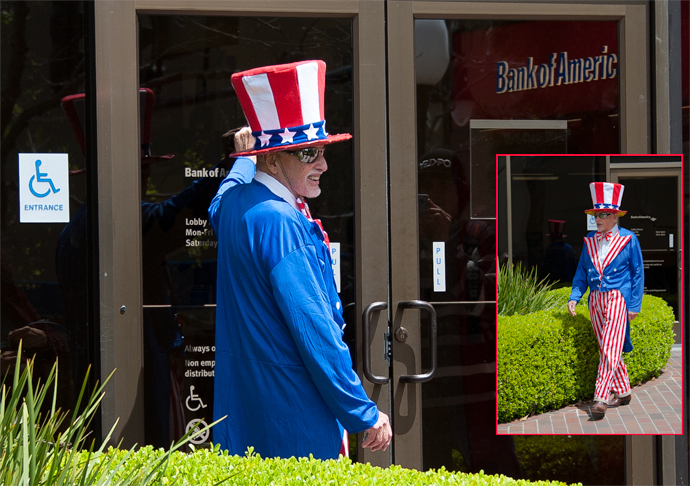 Uncle Sam wanted to have a word about this, but the Bank of America locked him out.